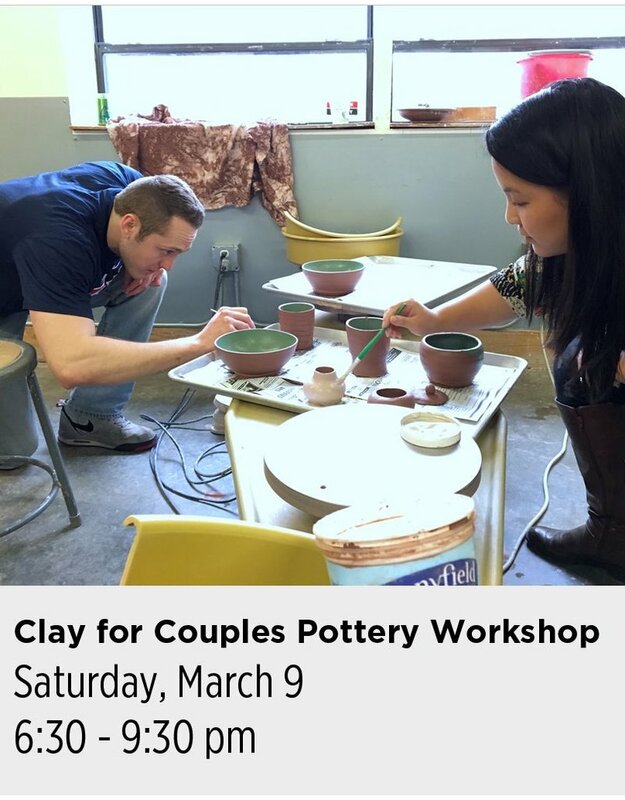 Date: March 9 Day: Saturday Time: 6:30 - 9:30 pm Instructor: NCC Teaching Artist Description: Looking for a unique date night activity that is sure to impress your mate? Look no further than NCC’s original Clay for Couples. Sign up with your special friend and learn the secrets of throwing pottery on the wheel in a fun and relaxed environment. Already attended a session? Sign up again and take your skills to the next level. The $70 fee includes instruction and materials for two adults. Pots will be ready to pick up after about two weeks.